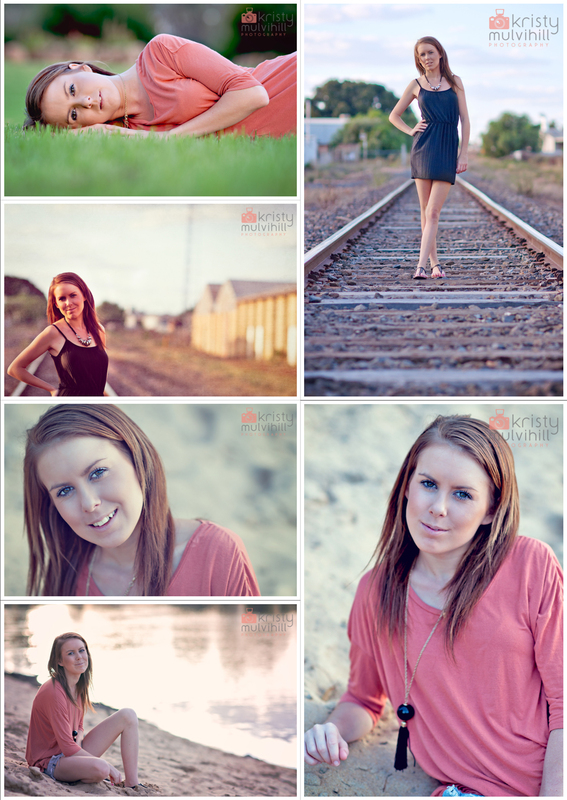 Welcome to a new branch of Kristy Mulvihill Photogtaphy - Natural Glamour Portraits! You all know I love the great outdoors, so I thought what better than to take glamour portraits outside! I have been thinking about this for a while and I was lucky enough to speak to a gorgeous girl who agreed to model for me in some sample shots. After taking a few shots, I showed Tahleesha some of the pictures on the back of my camera and she couldn't believe that they were her! These photos are great for self confidence and, let's face it, who doesn't want to have some nice pictures of themselves that they can hang on the wall or use as gifts for family and friends? This package is very versatile and sessions can take place with one person or a combination of people. Want some nice shots of you and your best friends, boyfriend/girlfriend, brothers/sisters, mum/dad? This type of portrait session comes with the option of having professional make-up done as well, so if you are worried about your own ability with make-up, there is no stress at all. All photos can be done at multiple locations (depending on time) and I'm happy to offer suggestions if required. For the sample shots, we were able to include some photos with Tahleesha's passions - go-kart racing & motorbike racing, so the possiblilities are endless. Gift vouchers are also available and would make great birthday, anniversary, or mothers day gifts. They are also great for deb season if you are stuck on a gift idea for your deb partner, a truly unique deb gift! Please don't hesistate to call or email me for more information and prices (you can even send me a message on my Facebook page now!). I promise you won't be disappointed! !